Height Markers 2 ft. - 5 ft. 3 ft. - 6 ft. 60 cm. - 155 cm. 90 cm. - 180 cm. Sweet chart to track your little one's growth. 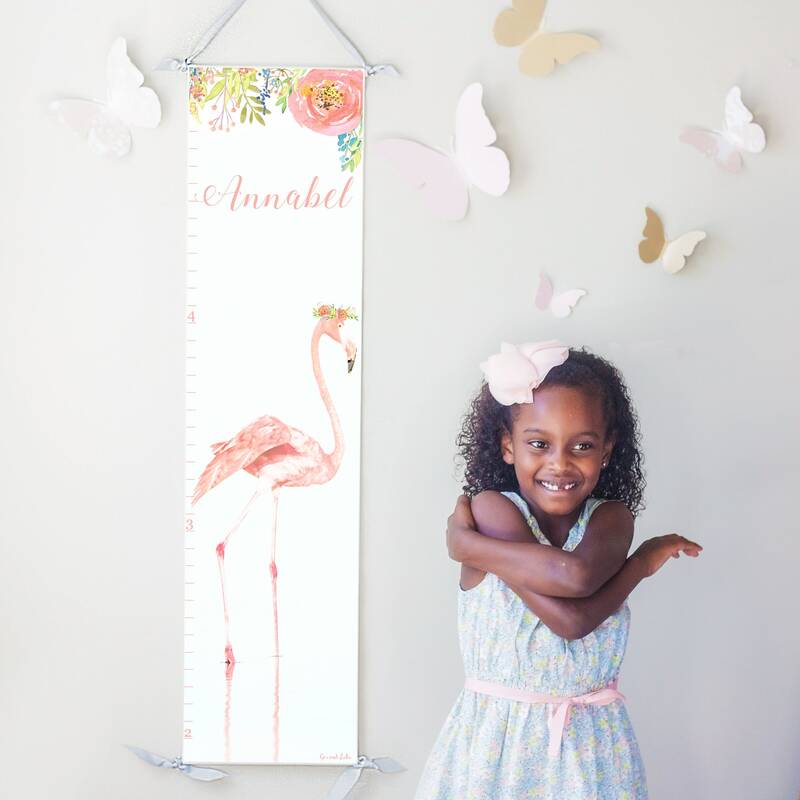 Beautiful flamingo and florals with shades of blush and pink with blue, yellow, and green accents. Printed on heavy-duty canvas with dowel rods and ribbons for hanging. Canvas measures 10x40 inches.